I have been really thrilled with my blog and Twitter redesigns. 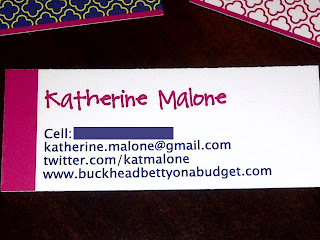 They make me happy when I see them (the most important thing, I think), and I love the color and font combinations. I decided on Moo.com to supply my cards, and the whole process was pretty painless. Lauren created the images for me, uploaded them for my review, and then I pushed Go! They looked fantastic on the site, so I figured I'd be happy with them in person. 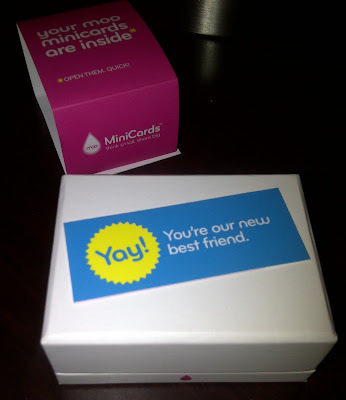 Plus mini cards are so much fun, don't you think? Well, I am pretty much ecstatic with Moo right now. Just look at this packaging. And YAY they are my favorites too! 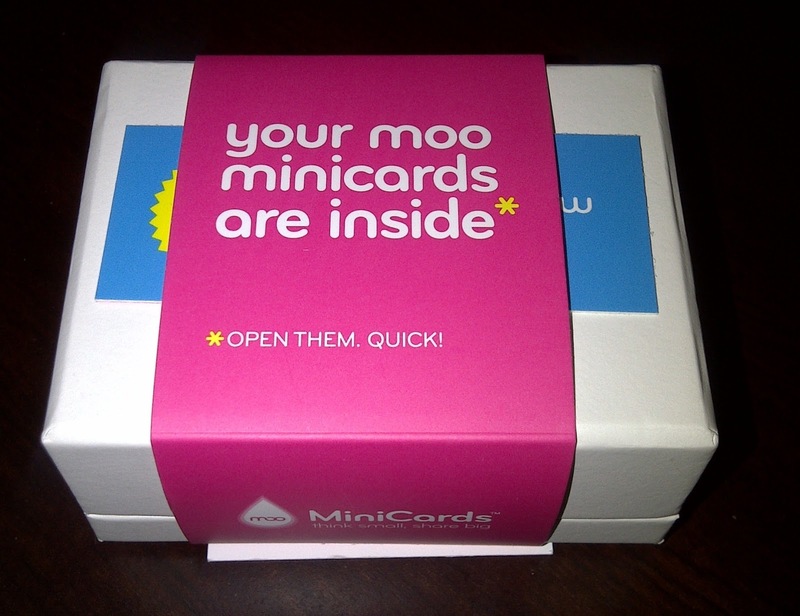 Thanks, Moo! 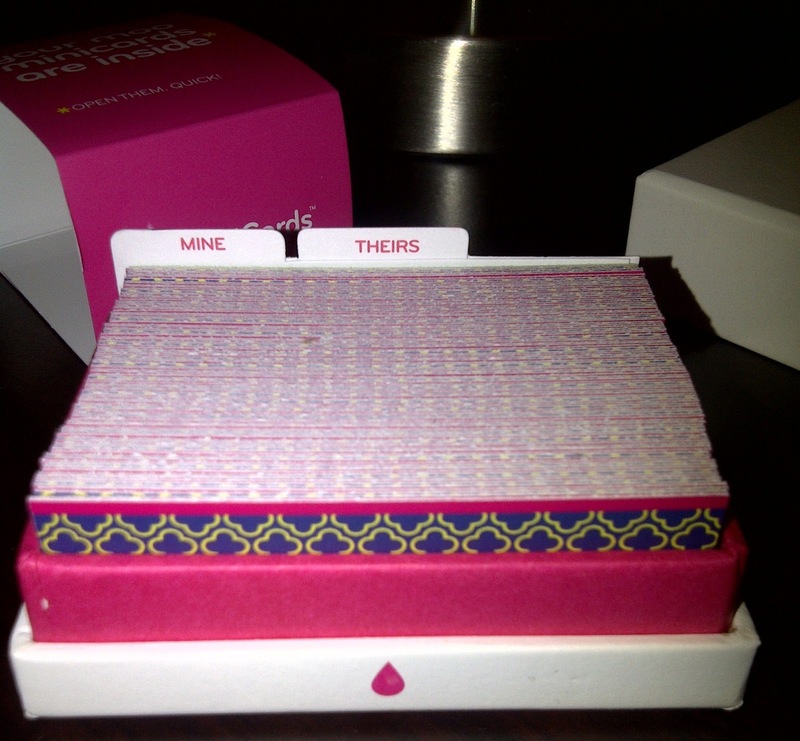 The little box comes with dividers so I can store mini cards from other people right back in here. This is convenient since they might get "lost" in bigger business card storage boxes. The colors of the three backs are vibrant and trendy, and hint back at the design of my blog. And then here is the info side! 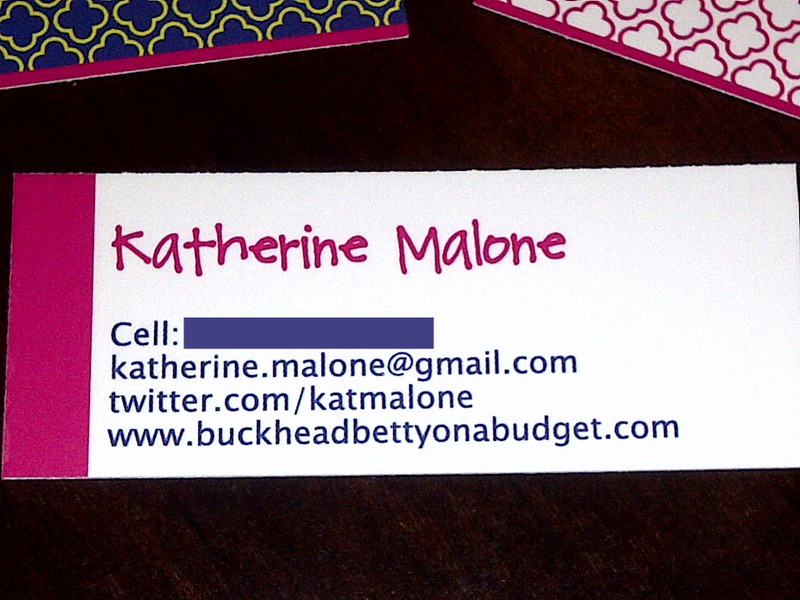 With my cell phone number blocked out for you all, of course :) I wanted to recreate the handwriting font, but then still make them "professional." This picture doesn't show it very well, but the pink matches the other side's pink, and same with the blue. What do you think? Did we do good? I am so excited to give these little babies away. Too bad I missed out on the most fabulous Lavish! blog conference this past weekend. Who is planning the first 2011 blog conference? I am in! so cute! i love the packaging too.